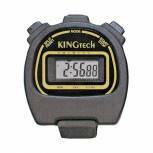 FD Economy Digital Stopwatch 347598 Pack of 1 1/100 second precision (for the first 30 minutes) with a lap counter. Calendar and time (12/24 hr format). Daily alarm. Hourly chime. Big digit display. Case size: 64x53x19mm. Supplied with battery and neck cord. 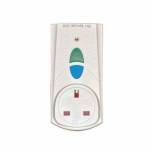 RCD Safety Plug White PB5000 Pack of 1 RCD Breaker. Ultra fast electricity cut out when an earth current fault occurs. 40 millisecond trip time is fast enough to prevent a fatal electric shock. 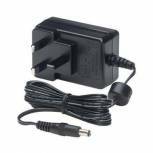 Plugs into a standard UK wall socket. Power max 3000W, 13 amp with 30 ma sensitivity.